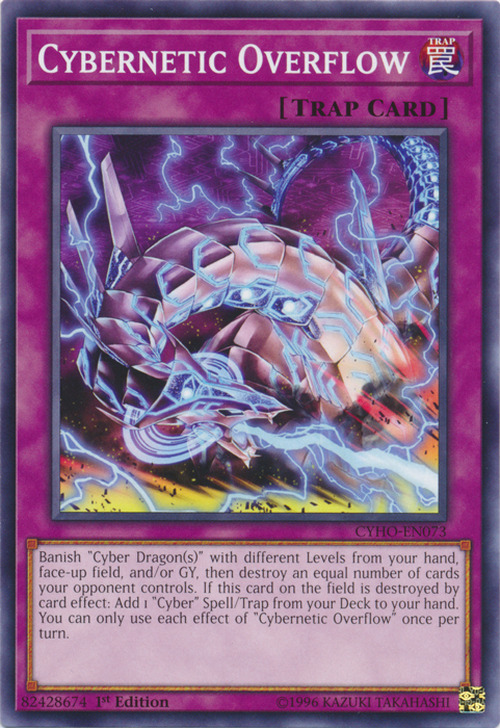 Banish “Cyber Dragon(s)” with different Levels from your hand, face-up field, and/or GY, then destroy an equal number of cards your opponent controls. If this card on the field is destroyed by card effect: Add 1 “Cyber” Spell/Trap from your Deck to your hand. You can only use each effect of “Cybernetic Overflow” once per turn. Cyber Dragon Sieger appears in this card's artwork.